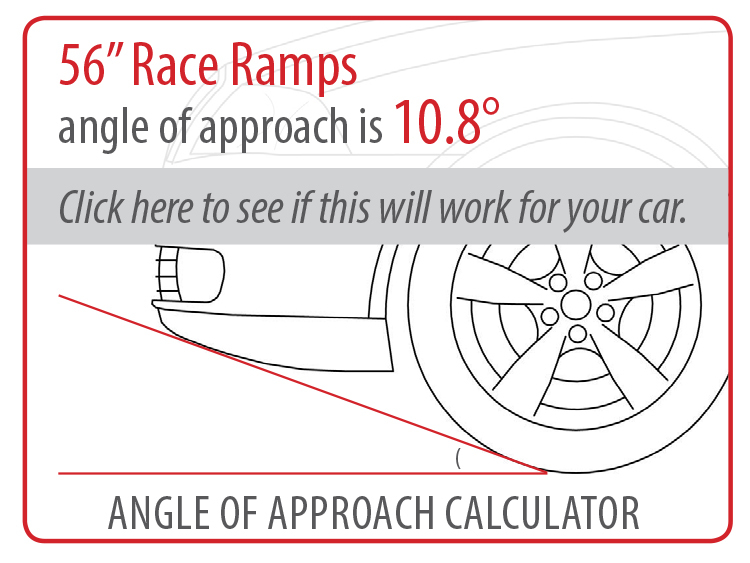 One of the very first products we ever designed, 56″ Race Ramps have been praised world-wide for how easy they are to use with low-to-the-ground cars such as Corvettes and Mustangs. They lift your car a full 203mm (8”) off of the ground with a gentle 10.8 degree incline, and they fit tires up to 255mm (10”) wide. Each ramp can hold up to 680 kgs., for a total vehicle weight capacity of 2700 kgs. Both ramps have an attached carrying strap for easy transport and storage. They can be purchased in a one-piece or two-piece design. The two-piece set gives you even greater manoeuvrability under the car: once your tires are in place (and chocked! ), you can remove the incline portion of the ramp for additional side access. Whether you’re putting your car on display for a show, giving it a tune up, or just changing the oil, these ramps will be instant favourites. Need a smaller angle of approach? See our XTender accessory (RR-EX-12). Don’t want to carry around XTenders? 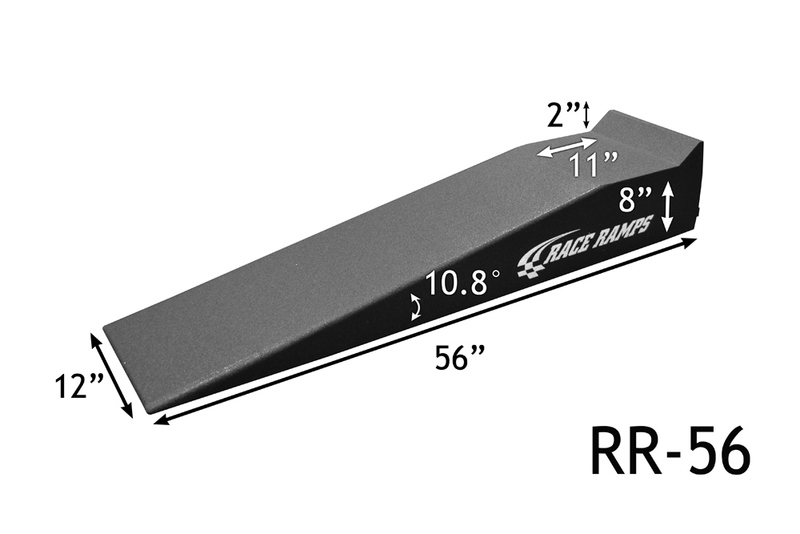 See our 72” Race Ramps which have the XTender already “built into” the ramps (RR-72-2). Have wider tires and want more lift? 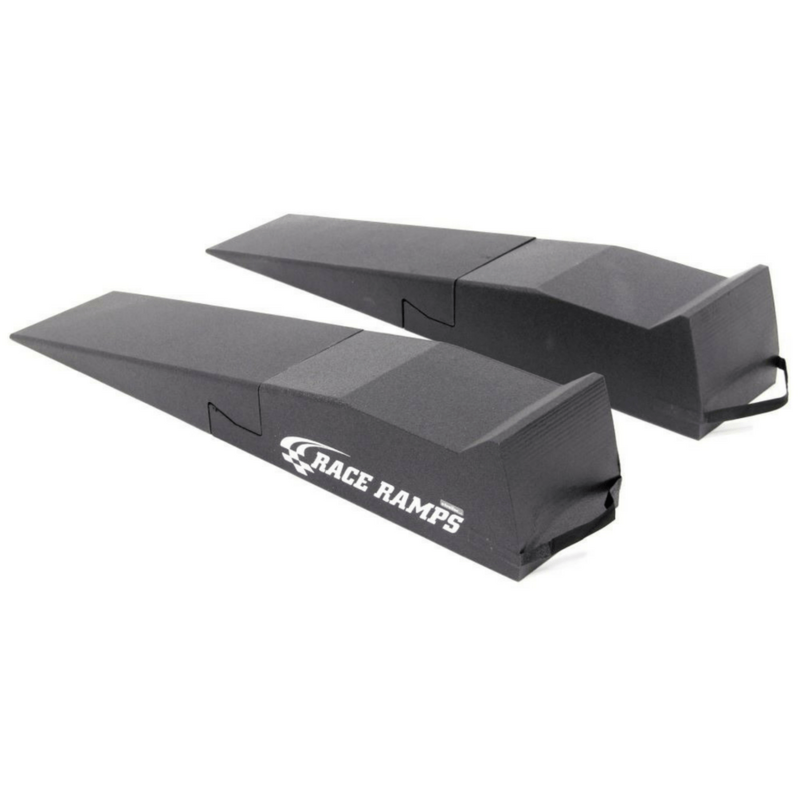 See our 67” XT Race Ramps (RR-XT, RR-XT-2). Sold as: one-piece design (RR-56) or two-piece design (RR-56-2). Authorised Australian Distributor. Shipping Australia Wide! Ideal for C5-C7 Corvettes. The ZR1 Corvette will require the XTender due to the splitter.